Armin Schmidt is an archaeological geophysicist and IT pioneer, initially trained as a physicist with a PhD from the RWTH Aachen, Germany. He has applied novel methods of geophysical prospection worldwide from Ecuador to Iran, Nepal and Japan, working as a researcher, and consultant to UNESCO. He is Founder and Honorary Secretary of the International Society for Archaeological Prospection (ISAP), as well as co-founder of the Archaeology Data Service (ADS) and of the Bradford Centre for Archaeological Prospection (B-CAP). 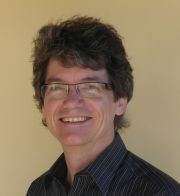 His specialisations are in near-surface geophysics for archaeological prospection and geoarchaeology; geodata processing; and computer applications in archaeology. His main archaeological interests are Iranian prehistory and South Asian archaeology. He has written books on geophysical data in archaeology, and on magnetometer and earth resistance surveys for archaeologists. After obtaining a physics PhD from the RWTH Aachen, Germany, he worked in the Department of Archaeological Sciences, University of Bradford (UK) from 1993 to 2010 as a Senior Lecturer, leading the archaeological geophysics research group after Arnold Aspinall's retirement. In 2010 he founded GeodataWIZ, which specialises in advanced processing and visualisation of geodata and geoinformatics. He holds honorary appointments with the archaeology departments of the University of Bradford and Durham University. Honorary Secretary of the International Society for Archaeological Prospection (ISAP). Associate Editor for Archaeological Prospection and until 2013 also of Geoarchaeology. Co-Founder and until 2014 member of the Management Committee for the Archaeology Data Service (ADS); also author of the ADS Guide to Good Practice on Geophysical Data in Archaeology (now in its 2nd edition). Co-Founder of the Bradford Centre for Archaeological Prospection (B-CAP). While working at the University of Bradford he was Course Co-ordinator for the postgraduate course MSc in Archaeological Prospection. Integrated archaeological field projects (from intra-site to landscapes) using archaeological geophysical techniques. Development of new, and adaptation of existing, geophysical techniques (instrumental and computational) for use in archaeological prospection. Integration of geophysical and remote sensing techniques for the study of archaeological sites and landscapes, using GIS. The use of IT for the enhancement of the archaeological record. In a project with Robin Coningham (Durham University) the potential for archaeological geophysical techniques were investigated in South Asia. As part of UNESCO missions to Bangladesh and Nepal detailed geophysical surveys revealed unknown buried structures (e.g. viharas at Ramagrama, Nepal). The geophysical results from the 2011 fieldseason at Lumbini, Buddha's birthplace in Nepal, showed the archaeological potential of the site. In an AHRC funded project, the hinterland of Sri Lanka's ancient capital Anuradhapura was investigated using various archaeological methods, including detailed geophysical investigations. In the UK, the Battle of Towton Landscape Project (Tim Sutherland) has demonstrated the necessity for an integration of multi-source data from various field techniques, including metal detectors. The results have shown how archaeological research can inform the evaluation of historical sources. In other UK projects work is undertaken in collaboration with various local groups (e.g. Huddersfield & District Archaeological Society) to assist with the understanding of archaeological landscapes and remains. Detailed geophysical investigations of ancient metalworking sites have provided considerable insight into the layout of such sites and the morphology of buried furnaces (with Rob Vernon and Gerry McDonnell). Geophysical surveys at several National Trust properties helped to reveal the layout of earlier planting and landscaping schemes. A thorough evaluation of magnetic susceptibility measurements on a modern iron production site, which had in recent history been polluted with heavy metals, demonstrated how rapid magnetic measurements can be used to map the spatial distribution of contaminants by proxy. The integration of several remote sensing data sources (e.g. satellite imagery, aerial photography and geophysical surveys) with other archaeological data (e.g. surface collection and earthwork surveys) using GIS technology has greatly enhanced subsequent archaeological interpretations. For example at Charsadda, Pakistan, such integration was crucial to reveal the relationship between modern surface features, geophysical anomalies and historic excavation records. GIS tools are being adapted to enhance the digital workflow from field to publications, for example by providing improved tools for the digitisation of earthwork mapping. An ecological model based on archaeological observations in Iceland (Bumodel) was re-evaluated to be used as a learning game for the teaching of sustainability through an archaeological case study. The Anuradhapura Project - Phase II (with Durham University). Schmidt, A., Paul Linford, Neil Linford, Andrew David, Chris Gaffney, Apostolos Sarris and Jörg Fassbinder 2015. Guidelines for the use of Geophysics in Archaeology: Questions to Ask and Points to Consider. Namur: Europae Archaeologia Consilium (EAC). Details and download on the ISAP Web site. Schmidt, A. 2013. Earth Resistance for Archaeologists. Lanham: AltaMira Press. Publisher's web page. The book is available from Amazon. Schmidt, A. 2013. ADS Guide to Good Practice: Geophysical Data in Archaeology - 2nd fully revised edition. Oxford: Oxbow Books. The book is available from Oxbow and from Amazon. The Wiki version is Open Access. Camidge, K., P. Holt, C. Johns, L. Randall & A. Schmidt 2010. Developing magnetometer techniques to identify submerged archaeological sites (5671 DT). Historic Environment Service, Environment and Heritage, Cornwall County Council Report No: 2010R012. ADS Version (Open Access) and direct link to pdf. Aspinall, A., C. Gaffney & A. Schmidt 2008. Magnetometry for Archaeologists. Lanham: AltaMira Press. Publisher's web page and Amazon. Schmidt, A. & G. Tsetskhladze 2013. Raster was Yesterday: Using Vector Engines to Process Geophysical Data. Archaeological Prospection 20(1): 59-65. DOI: 10.1002/arp.1443 (subscription required), Preprint. Quigley, M., M. Fattahi, R. Sohbati & A. Schmidt 2011. Palaeoseismicity and pottery: investigating earthquake and archaeological chronologies on the Hajiarab alluvial fan, Iran. Quaternary International 242(1): 185-195. Schmidt, A., M. Quigley, M. Fattahi, G. Azizi, M. Maghsoudi & H. Fazeli 2011. Holocene settlement shifts and palaeoenvironments on the Central Iranian Plateau: investigating linked systems. The Holocene 21(4): 583-595. DOI: 10.1177/0959683610385961 (subscription required), Preprint. Coningham, R., P. Gunawardhana, M. Manuel, G. Adikari, M. Katugampola, R. Young, A. Schmidt, K. Krishnan, I. Simpson, G. McDonnell & C. Batt 2007. The state of theocracy: defining an early medieval hinterland in Sri Lanka. Antiquity 81(313): 699-719. Schmidt, A. and H. Fazeli 2007. Tepe Ghabristan: A Chalcolithic Tell Buried in Alluvium. Archaeological Prospection 14(1): 38 - 46. Schmidt, A., R. Yarnold, M. Hill and M. Ashmore 2005. Magnetic Susceptibility as Proxy for Heavy Metal Pollution: A Site Study. Journal of Geochemical Exploration 85(3): 109-117. Sutherland, T. and A. Schmidt 2003. Towton, 1461: An Integrated Approach to Battlefield Archaeology. Landscapes 4(2): 15-25. Schmidt, A. 2003. Remote Sensing and Geophysical Prospection. Internet Archaeology 15. Vernon, R.W., G. McDonnell and A. Schmidt 2002. The Geophysical Evaluation of British Lead and Copper Working Sites. Comparison with Iron Working. Archaeological Prospection 9(3): 123-134. Hamilton, K., G. McDonnell and A. Schmidt 1999. Assessment of early lead working sites in the Yorkshire Dales by geophysical prospection. Memoirs 63(Dec.): 156-162. Schmidt, A. 2009. Electrical and Magnetic Methods in Archaeological Prospection. In S. Campana and S. Piro (eds) Seeing the Unseen. Geophysics and Landscape Archaeology: 67-81. London: Taylor & Francis Group. Schmidt, A. 2007. Archaeology, magnetic methods. In D. Gubbins and E. Herrero-Bervera (eds) Encyclopedia of Geomagnetism and Paleomagnetism. Heidelberg, New York: Springer. Schmidt, A., T. Sutherland and S. Dockrill 2006. Inside the mound: geophysical surveys of the Scatness Iron-age Broch, Shetland. In R.E. Jones and L. Sharpe (eds) Going over old ground: 225-230. BAR British Series 416. Oxford: Archaeopress. Schmidt, A. 2001. Visualisation of multi-source archaeological geophysics data. In M. Cucarzi and P. Conti (eds) Filtering, Optimisation and Modelling of Geophysical Data in Archaeological Prospecting: 149-160. Rome: Fondazione Ing. Carlo M. Lerici. Mercer, E. and A. Schmidt 2001. A magnetometer survey of an Iron Age settlement site at Uppakra, Skane, Sweden. In L. Larsson (ed.) Uppakra: Centrum i analys och rapport, Uppakrastudier 4: 65-78. Lund: Acta Archaeologica Lundensia (Series 8 no 36). Vernon, R. W., J.G. McDonnell and A. Schmidt 1999. Medieval Iron and Lead Smelting Works: A Geophysical Comparison. In Pollard A. M. (ed.) Geoarchaeology: exploration, environments, resources: 15-34. London: Geological Society, Special Publications, Vol. 165. Schmidt, A. & A. Marshall 1997. Impact of resolution on the interpretation of archaeological prospection data. In A. Sinclair, E. Slater and J. Gowlett (eds) Archaeological Sciences 1995: 343-348. Oxford: Oxbow Books.